Wow. 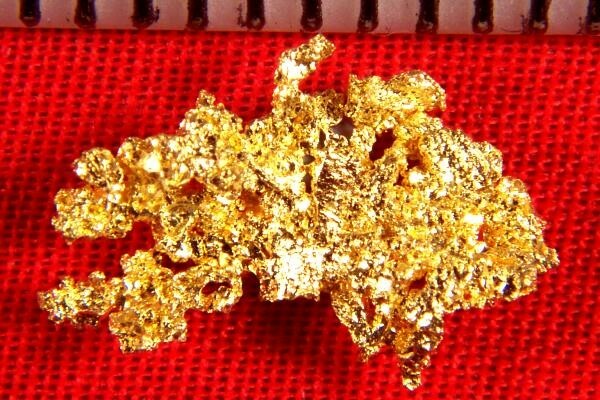 Check out the incredible dendritic leaf type interlaced wire gold crystals on this stunning crystalline gold specimen from the Ace of Diamonds Mine in Kittitas County in Liberty, Washington. The Ace of Diamonds Mine is famous for it's intricate gold nugget specimens, and for the purity and brilliant color of the gold. It is not often that you see gold nuggets from this location. 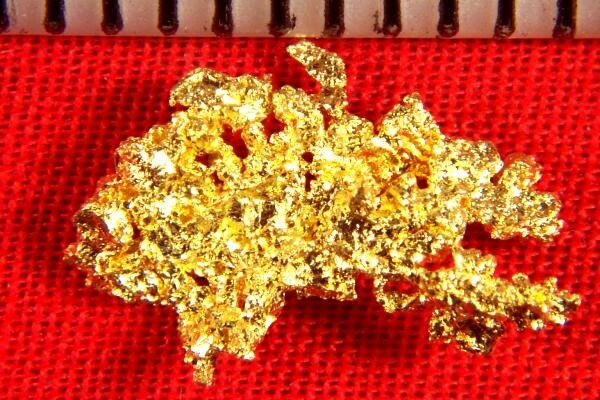 This gorgeous crystallized gold nugget is over 1/2" long and weighs 12.3 Grains (0.80 Gram).